In a survey of 504 occupational health practitioners (including company doctors & nurses), the U.S. Government Accountability Office (GAO) concluded that the government has not done enough to ensure that the reporting has been accurate. More than 33% of the doctors/nurses said they were pressured to provide insufficient treatment so that the job-related injuries did not show up on injury logs. More than 50% of the doctors/nurses said they were pressured from upper management to downplay injuries & illnesses. More than 65% of the doctors/nurses said they knew of employees who would not report injuries & illnesses to avoid disciplinary measures. The findings were further complicated by the fact that employees are often rewarded for maintaining “safe-work” environment for long periods of time, thereby reducing reporting. Want to calculate your Injury and Illness Incidence rate (I&I) and/or your Days, Away, Restrictions and Transfers (DART) rate? 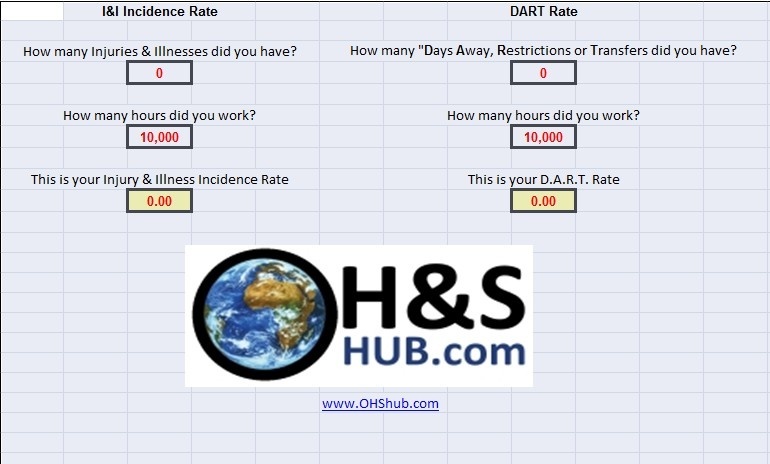 Use OHShub.com’s Incidence Rate and DART Rate calculator (Excel spreadsheet format) to determine your rates. 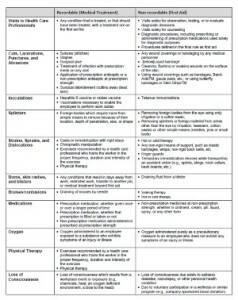 of the Occupational Injury and Illness Recording and Reporting Requirements for low rate establishments in selected industries. this NEP (e.g., the construction industry, Partnerships, VPP and SHARP establishments).